In my dedication to research for my next novel, I took my son with me and trotted down to our local fire station. I wasn’t sure what to expect, but when I got there, a very kind Deputy Fire Chief invited me in for a chat, and he’s a wealth of information! In fact, I’ll go back later on in the week and attempt to get the last of my questions answered. 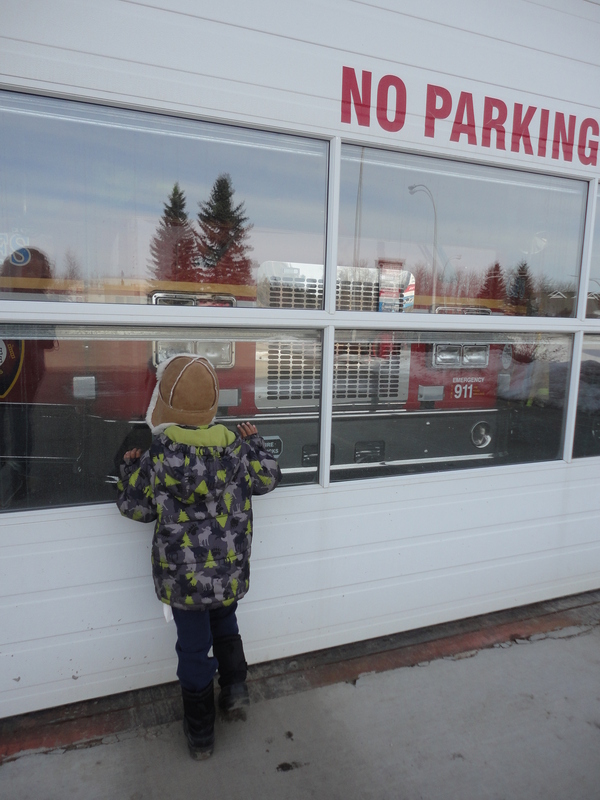 My son was enthralled with the fire trucks, as you can well imagine. So we stopped to peek at them before walking home again. We are –>this close<– to spring in our neck of the woods, but the sidewalks were still pretty slippery. So on our way home, while telling my son to be careful because leaping onto icy puddles might not be the smartest idea in the world, I slipped and fell on the ice. Being the dedicated blogger than I am, I would have taken a picture of that icy sidewalk for your empathetic appreciation, but I had an audience. Well, not much of an audience. There was my son staring down at me in surprise (I was flat out!) and a couple of cars slowed and offered to stop and give me a hand, but I waved them on, embarrassed enough by my tumble. It hurt, but not enough to stop me from going home under my own steam. I love our community. It’s friendly enough that strangers care if a mom wipes out on the sidewalk while they drive past. Glad you’re dignity was what was injured most and not anything worse. Dignity can take the hard knocks. 😉 What a fun outing for you and your son.